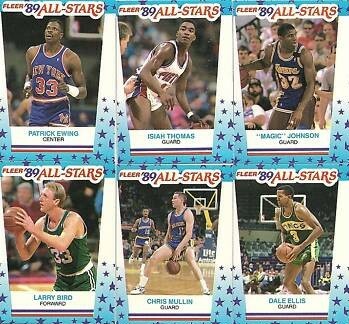 Complete set of 11 1989-90 Fleer basketball sticker cards, average condition NrMt-Mt. Includes Charles Barkley, Larry Bird, Magic Johnson, Michael Jordan and Karl Malone. ON BACK ORDER.